Item # 319003 Stash Points: 4,495 (?) This is the number of points you get in The Zumiez Stash for purchasing this item. Stash points are redeemable for exclusive rewards only available to Zumiez Stash members. To redeem your points check out the rewards catalog on thestash.zumiez.com. 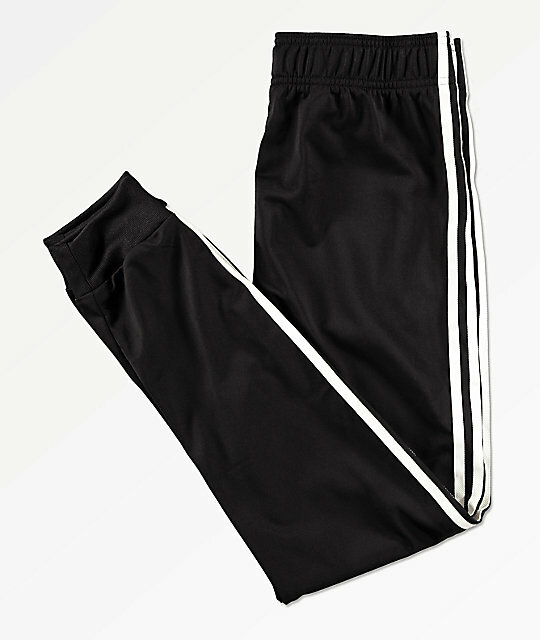 Keep comfortable in classic athleisure style with a pair of adidas Trefoil Black & White Jogger Pants. Three white stripes line the outer of each leg for a classic look and an embroidered Trefoil logo at the left thigh provides additional branding and style points. Finished with two front hand pockets for storage and a soft interior lining for comfort, these pants are a perfect option for all occasions. 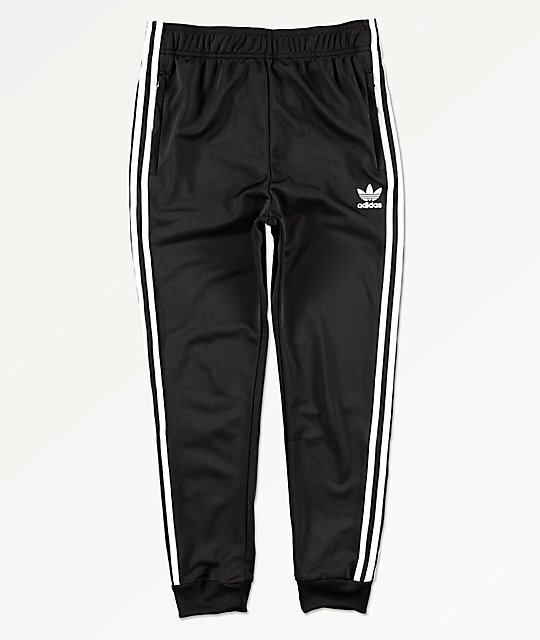 Trefoil Black & White Jogger Sweatpants from adidas. White embroidered adidas Trefoil logo at the left thigh. White three stipe lining sewn to outer of each leg. Measurements taken on youth medium and may vary by size.